Chedric Seedorf is one of the Seedorf football family with older brother Clarence as most famous. Like his brothers, he started in the Ajax youth academy and followed Clarence at Madrid and Milan. While Chedric played for the youth teams, his first professional contract was back home at NAC Breda. In 2003 was his contract cancelled and he just had made a few appearances for the first team. He tried his luck again in Italy playing for the lower division clubs Legnano (C2) and Pizzeghettone (C1). In June 2007, Seedorf signed for the Belgian team K.V. Oostende. Without playing a match, he has left the club on January 1, 2008 to sign for the rest of the season for Cambuur Leeuwarden that sealed his return home. His contract was not extended when it expired and Seedorf return abroad again. He moved to just promoted Olympique Croix de Savoie who play in the French third division (National). Just playing one single match he left Croix de Savoie soon and tried to keep up his fitness at the reserves of AC Milan, thanks to his brother Clarence. In February 2009 Seedorf confirmed to play the rest of the season at HFC Haarlem. In July 2009 followed a move abroad to the Italian club AC Monza Brianza where his brother Clarence is one of the owners. His contract expired in June 2011 and he was released on a free transfer. 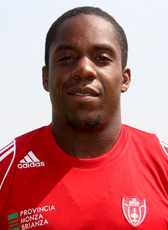 He moved to Suriname to play for SV The Brothers in the 2011-12 season. Chedric Seedorf retired from professional football in 2012.